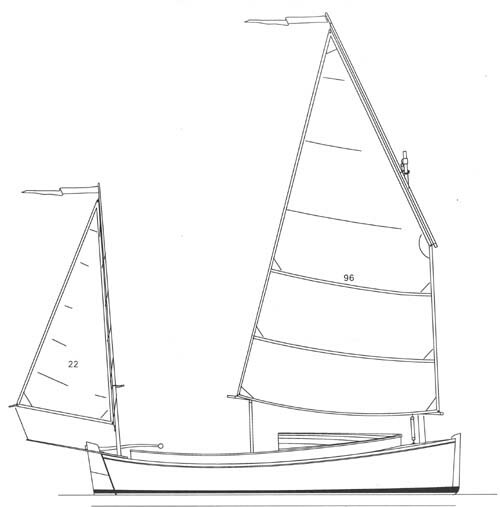 Roeboats have been commissioned to build a 16 foot sharpie designed by Karl Stambaugh. The owner will be finishing her himself so she’ll leave the workshop without paint, rigging or sails. Hopefully I’ll get to sail her at some point. The lug rig should prove powerful and versatile and it looks pretty good too. The finished boat will be sailed on Galway Bay where the 2011-2012 Volvo Ocean Race will finish. I’ll be posting the building of the boat as it progresses so check back to see how I’m getting on or better still subscribe to the blog or Roeboats Quarterly newsletter which will have the inside info on all the goings on at Roeboats. This boat is now finished and sailing in Scotland. Where her owner and his kids use her to play Swallows and Amazons .